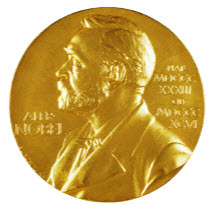 The Royal Swedish Academy of Sciences has awarded the Nobel Prize in Chemistry for 2014 to three scientists for the development of super-resolved fluorescence microscopy: Eric Betzig, Janelia Research Campus, Howard Hughes Medical Institute; Stefan W. Hell, Max Planck Institute for Biophysical Chemistry and German Cancer Research Center, Heidelberg; and William E. Moerner, Stanford University. The Prize amount: SEK 8 million (US$1.1 million or €1.16 million), to be shared equally between the Laureates. For a long time optical, microscopy was held back by a presumed limitation: that it would never obtain a better resolution than half the wavelength of light, the academy notes in a statement. Two separate principles were rewarded. 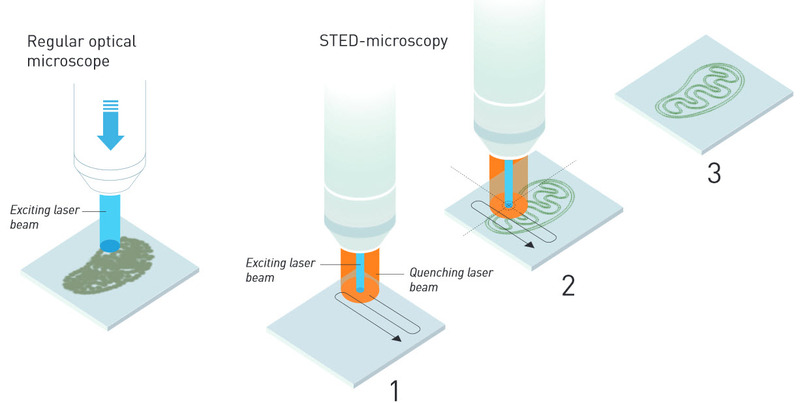 One enables the method stimulated emission depletion (STED) microscopy, developed by Stefan Hell in 2000 (listen to interview with Stefan W. Hell from the press conference). Two laser beams are utilized; one stimulates fluorescent molecules to glow, another cancels out all fluorescence except for that in a nanometer-sized volume. Scanning over the sample, nanometer for nanometer, yields an image with a resolution better than Abbe’s limit. 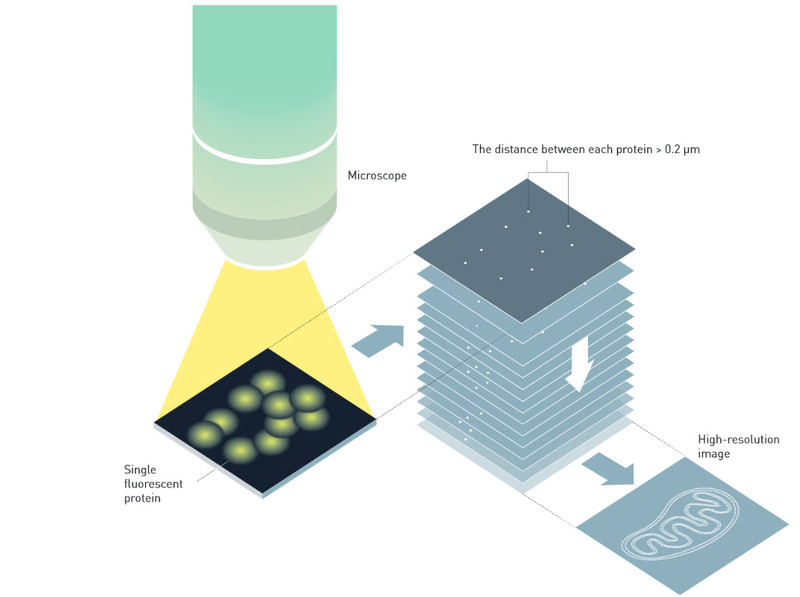 Eric Betzig and William Moerner, working separately, laid the foundation for the second method, single-molecule microscopy. The idea is to turn the fluorescence of individual molecules on and off. Scientists image the same area multiple times, letting just a few interspersed molecules glow each time. Superimposing these images yields a dense super-image resolved at the nanolevel. In 2006 Eric Betzig utilized this method for the first time. Today, nanoscopy is used worldwide, an essential scientific research tool. Mention of the diffraction limit in KurzweilAI posts.